BMR Suspension has taken the guesswork out of making significant handling improvements to the 2010-2011 Chevrolet Camaro, and put it in one convenient package. Countless hours of design, engineering, and track testing gives you the best combination of parts for improved handling on the street and track. Matching specific components provides a great blend of performance, aesthetics, and comfort. 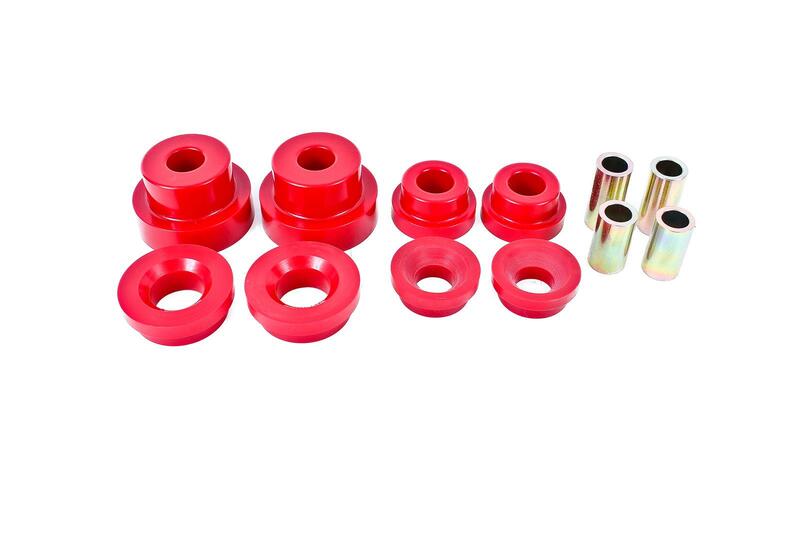 BMR’s KONI Handling Package (KHP351) addresses key points of the suspension to improve the “system.” BMR Suspension designed the KHP351 to work well for street performance and handling applications. BMR’s KONI Handling Package is 100-percent bolt-in and require zero cutting, welding, or modification to the chassis or suspension. Whether you simply want a better handling daily driver, or the ultimate track day car, rely on BMR Suspension! 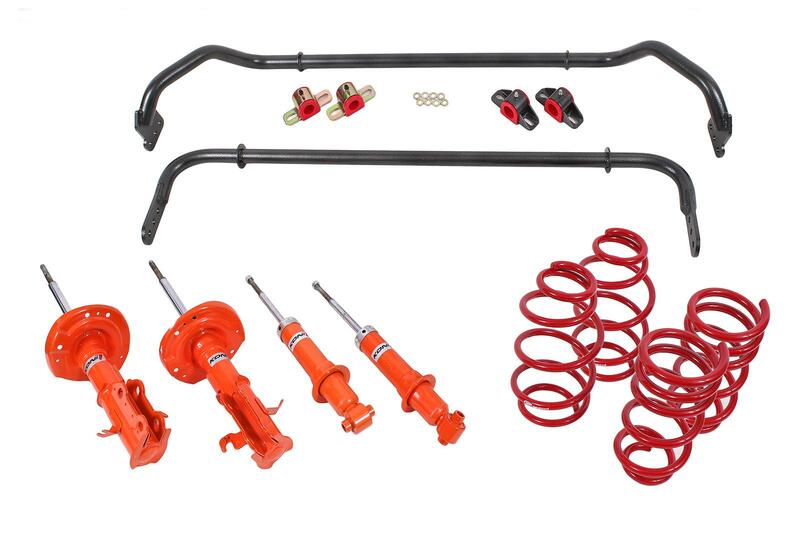 This package consists of (2) Koni non-adjustable 8750-1105 front struts and (2) Koni non-adjustable 8250-1029 rear shocks. There is nothing like the aggressive look of a car with the right stance! Over time, stock springs sag, get rusty, and simply wear out. BMR Suspension believes the right springs go beyond looks—your 2010-2015 Camaro needs to perform, too! All BMR springs are manufactured from chrome silicon high-tensile spring wire, and are cold wound on a CNC coiling machine. The CNC coiling head can adjust the spring diameter in real time to ensure that every spring is exactly the same. This guarantees that your right spring matches your left spring. Every BMR spring is compressed solid at the factory, not once, but twice. This gives the spring its permanent set, and guarantees no sag. BMR springs are stress-relieved at 750 degrees F, ensuring most stresses induced during the winding process are eliminated. All springs are then shot-peened to eliminate residual surface stresses. Many spring manufacturers skip this step, but BMR insists on this operation as part of our spring manufacturing process. Every spring is computer tested as the last step—every spring, not just a sample from each batch. Each spring is loaded in the spring tester at the factory, then compressed and the CNC load cell measures the force for a variety of spring lengths. This allows BMR to offer a LIFETIME WARRANTY against spring sag. Blending aesthetics and performance, BMR has designed the SP077 for the street performance crowd who want to use their cars in a variety of applications. 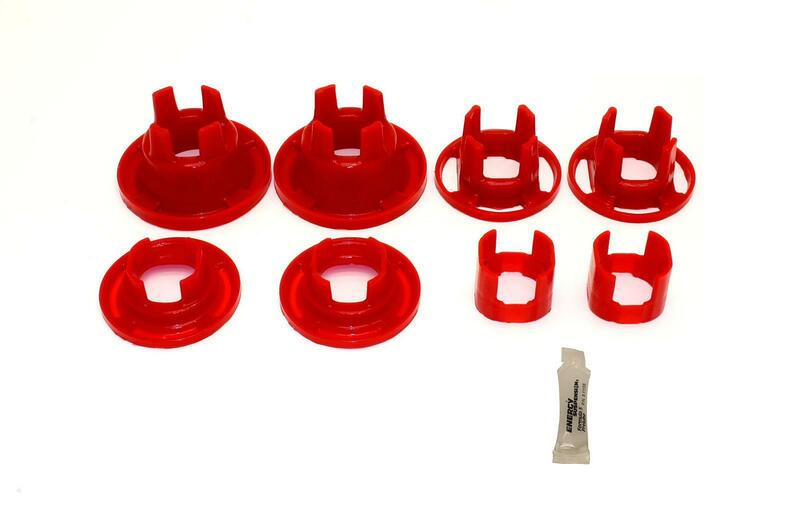 These springs will drop your V-8-equipped 2010 - 2015 Camaro 1.25-inch, and feature a fine-tuned spring rate to give you great handling and a smooth ride. The 220 lb/in (front) and 460 lb/in (rear) linear spring rate offers plenty of support, keeping the body flat and level in the corners, while remaining soft enough for a comfortable ride on any road. The lowered stance and increased spring rate decreases body roll and gives you a lower center of gravity for increased driver control in aggressive cornering situations. Combine this with BMR adjustable sway bars and you have the ultimate in handling and performance. When performance and looks are a must, rely on BMR Suspension! The two primary functions of sway bars are to control body roll and to determine the understeer or oversteer behavior of a vehicle. Stock sway bars have low torsional spring rates because they are manufactured from small diameter bar stock or tubing. BMR Suspension’s SB030 front and rear sway bar kit was designed by factoring in the vehicle weight, application, motion ratio, coil spring rate, and adjustability requirements. Manufactured from heavy-wall 29mm DOM tubing, the SB030 is cold formed to better resist torsional fatigue and retain its "memory" far longer than the hot-formed bars used by many competitors. The sway bar is CNC-formed for exact manufacturing tolerances and repeatable high quality. Thrust washers are welded to the bar to locate the sway bar bushing mounts. This is critical as it properly locates the sway bar and prevents lateral movement during hard cornering maneuvers. 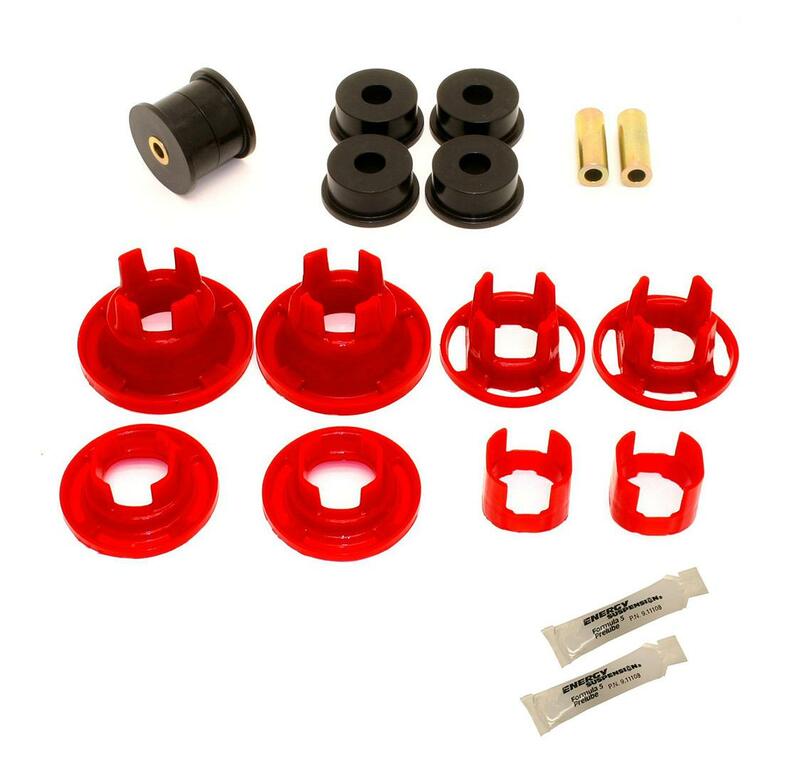 The sway bar mounts to the car using polyurethane bushings. 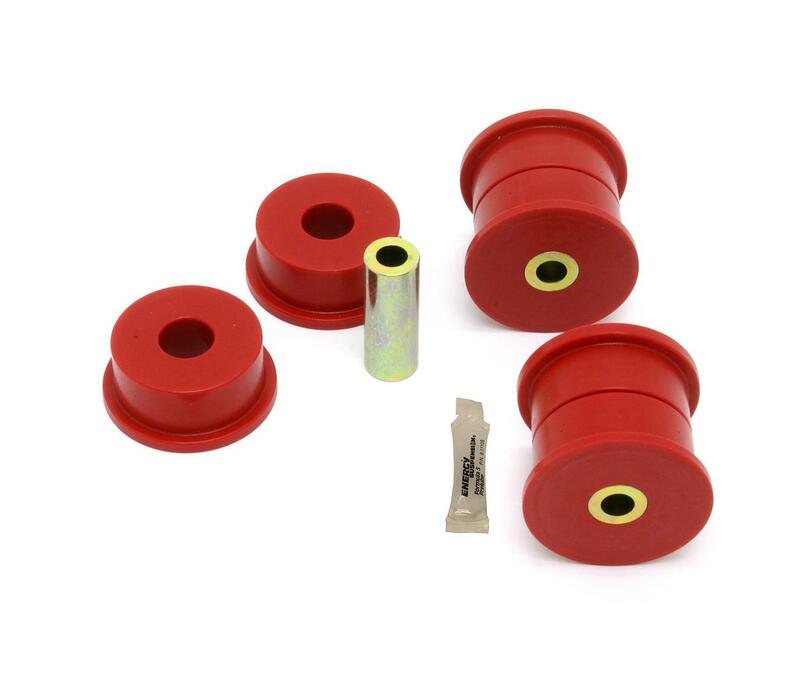 These bushings are molded from 88-durometer, low-deflection, polyurethane, and are internally fluted to keeps grease in the bushing. The steel sway bar mounting brackets are reinforced to minimize deflection. The sway bar is 3-way adjustable to tune the amount of torsional spring rate and to determine the handling characteristics (understeer/oversteer) of the vehicle. BMR Suspension designed the SB030 sway bar for street performance, autocross, and road race applications. The large adjustable sway bar’s three positions give you the versatility to drive to and from the road course or autocross and still out handle the competition with the same sway bar. The SB030 sway bars give you a 98%-214% increase (front) and a 99%-301% increase (rear) in sway bar rate. These rate increases and adjustability allow you to fine-tune the handling characteristics of your Camaro so you can drive harder through corners with minimal body roll. The hollow design allows for loads of strength in the lightest package possible. This means increased performance with no sacrifices. 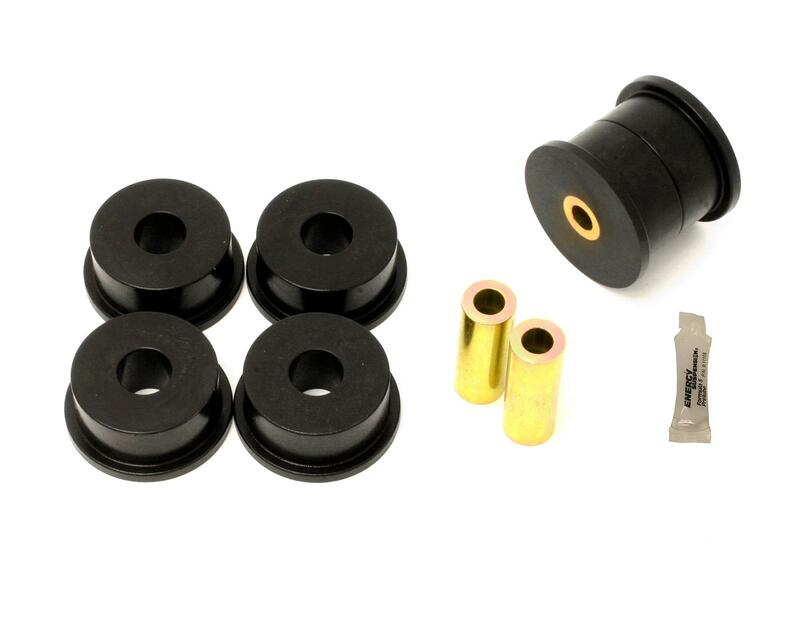 The SB030 attaches to your Camaro with 88-durometer polyurethane bushings, reducing the deflection from the stock rubber bushings. This allows for more sway bar control, and more control equals better handling. When performance is a must, rely on BMR Suspension! BMR Suspension’s KHP351 Koni Handling Package is available in red powdercoat for long-lasting good looks. Installation time is about 6-7 hours. Proudly made in the U.S.A.